Inspired by gardens in Mexico, France and Japan, these nine large tree boxes incorporate temperate tropical plants and aloes, light blue salvias, and bamboo-like plants and stones to mimic a zen garden. 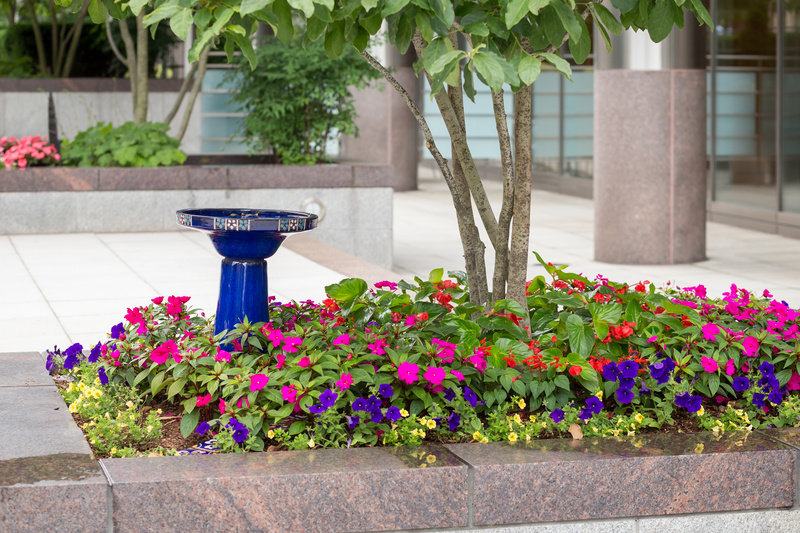 Inspired by the L’Enfant Plan, which laid out the urban design and streetscape for the nation’s capital, the thoughtful design included perennial plants that do not require much watering, as well as yellow lantana, an annual that does well in hot DC summers and attracts pollinators. 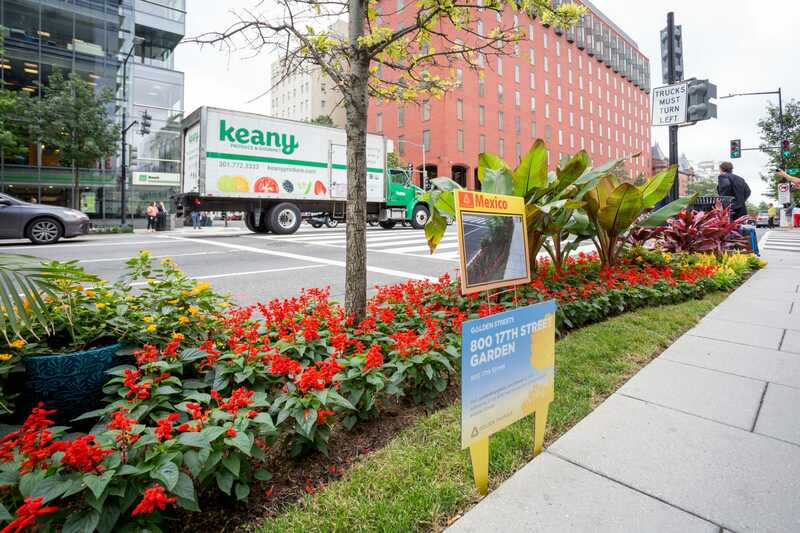 The sustainability winner took inspiration from the L’Enfant Plan, which laid out the urban design for the nation’s capital city. 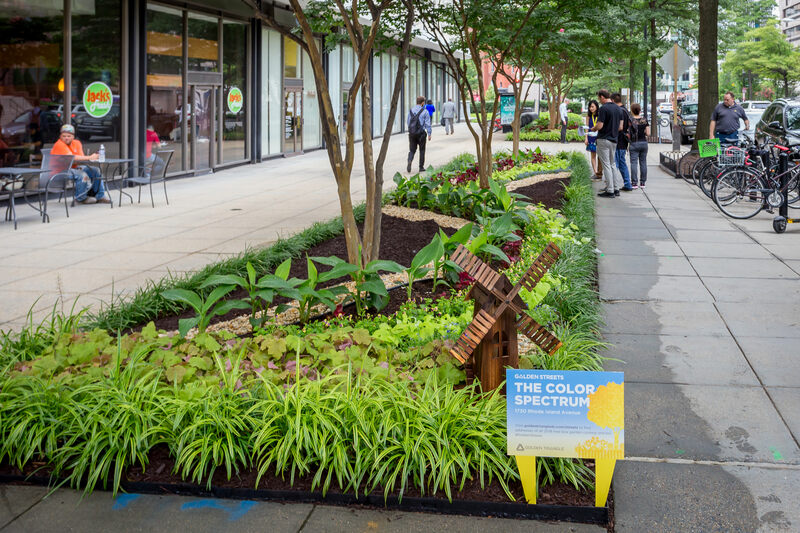 The thoughtful design included native, low maintenance plants that will thrive in the DC summer. 4. 1900 K Street — Arabian Daze: Shining, Shimmering, Splendid. 25. 1899 L Street — What a Wonderful World! 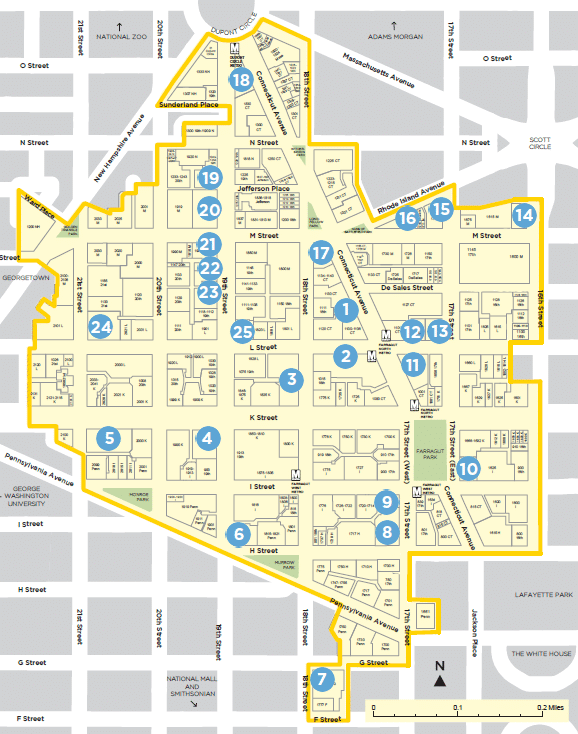 Area workers, local residents, and students can join in on the fun with an interactive scavenger hunt game for two weeks leading up to the winners being announced. Each day we will hide a giant pineapple in a different tree box participating in the competition. All you have to do is find it, snap a selfie and post it on Twitter or Instagram with #GoldenStreets to be entered to win a $50 gift card each week! Remember, you must be following us on Twitter and/or Instagram in order for your entry to be valid. Happy searching!